Design/Methodology/Approach: This paper focusses on the narrower meaning of education as a process for certain periods from schooling to colleges through fixed time, fixed curriculum, fixed classes, fixed subjects for a degree or certificate and hence will consider only a subset of these aims. It models the education as an engineering system of processes that identifies the individual as an input and the qualified trained graduate as a product of this system that is supposed to satisfy certain measurable Key Performance Indicators (KPIs). In this sense, the education system is designed to serve the objectives of the national development in a specific state or country. Indeed, the link between the aims of the education system and the National Development Plan (NDP) is organically established and is essential for any successful and meaningful education system. 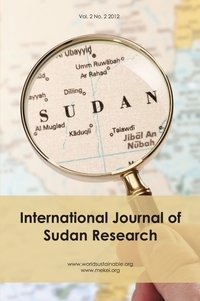 The paper goes on to review and critically evaluate and assess the Sudanese education system against its objectives and its ability to meet the NDP of the country throughout its post-independence history. For this purpose, post-independence history was divided into three major phases through which the education system has undergone major overhauls, namely the years 1956–1969, 1969–1989 and 1989–to date. A qualitative research methodology based on analysing the experience of the authors both as customers of and providers to the system throughout the target period was adopted. Findings: The review of the education system performance in post-independence Sudan has identified three major phases through which it has undergone major overhauls, namely the years 1956–1969, 1969–1989 and 1989–to date. The link was clear between the major political changes marking these phases and the impact they had on the structure, architecture and performance of the education system in the Sudan. This has led to a clear de-linking between the current system and the NDP. Irrespective of whether this was done by design or unintended consequence of the change, it was evident that the outcome is devastating for the country’s economy and the wellbeing of its citizens. Accordingly, the paper is calling upon all concerned to engage in national debate in order to outline an Action Plan to remedy the situation and put the education back on track. Originality/Value: The modelling and presentation of the education system as a simple system of engineering processes, where the outcome is a measurable product through identifiable KPI’s that can be used to evaluate the performance of education is novel. The evaluation of the education system against the objectives of the NDP using the prescribed model is also highly useful as it gives the education clear purpose identifiable by the ‘customer’ of the system with a clear link to how the system serves the country economically and reflects in the standard of living of its citizens. This is a hot topic that affects all the Sudanese citizens irrespective of their schools of thought. Hence, provoking them all in a national debate aiming at outlining an ‘Action Plan’ is essential.